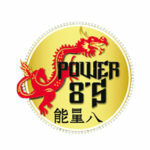 Power 8’s is a progressive Baccarat side-bet that adds excitement to the traditional game of Baccarat. 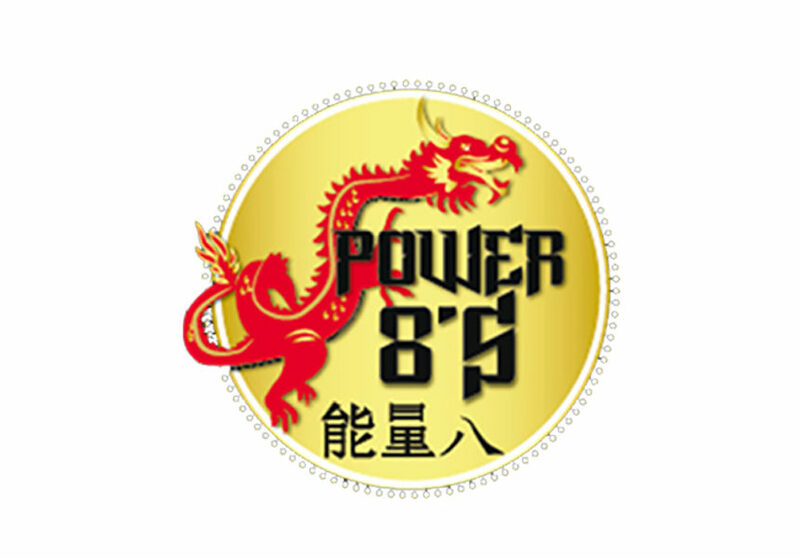 Power 8’s is an exciting new side-bet from TCSJOHNHUXLEY. This thrilling Baccarat progressive side bet is easy to play, and integrates with GFL Bonusing. 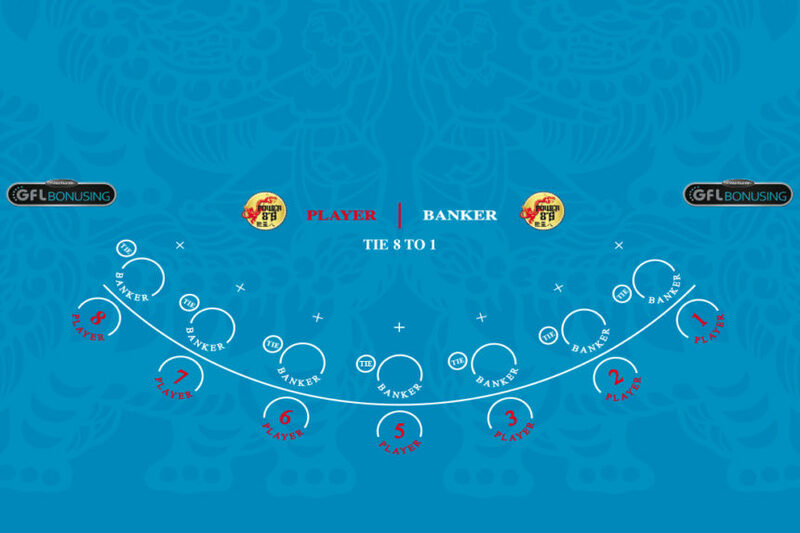 In Power 8’s, players bet on the combination (suit) and frequency of 8’s dealt, either as part of the initial 4 card deal or from the total of drawn cards representing a result in the main game. 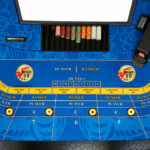 The three top progressive jackpots are shared equally between all those who placed a bet on the winning LED bet sensors. One of Baccarat’s best, and most appealing, features is its simplicity. 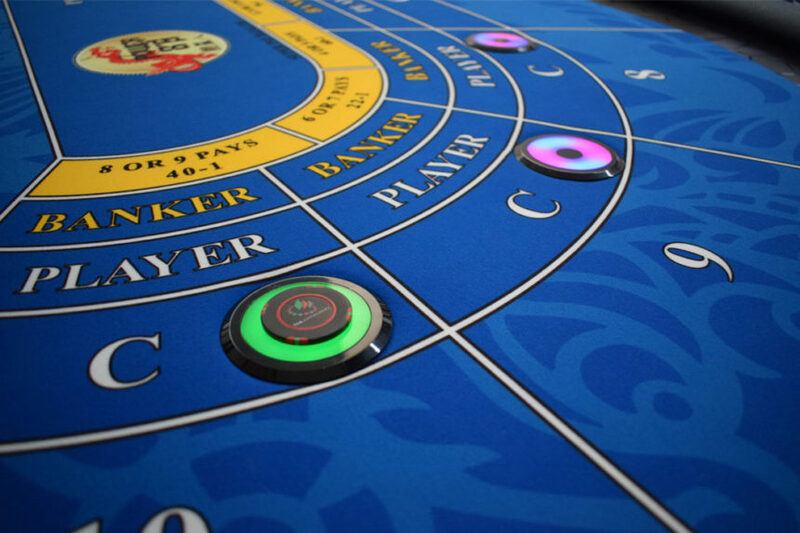 Power 8’s compliments this by only requiring the player to place an additional bet; there are no other moves for the player to carry out. 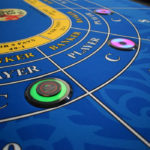 The rest of the game is left up to the dealer and the cards, making it easy for the player to focus on the thrill of the game. 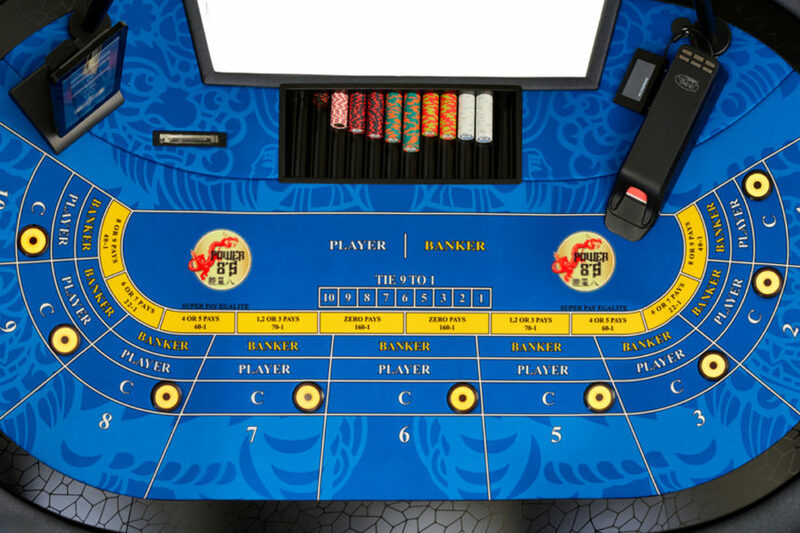 With full integration into GFL Bonusing, event-based jackpots are quick and easy to set up, such as 4 x 8’s in the initial deal, to mystery jackpots configured by the operator (using a random number generator) to reward a randomly selected player for simply participating. 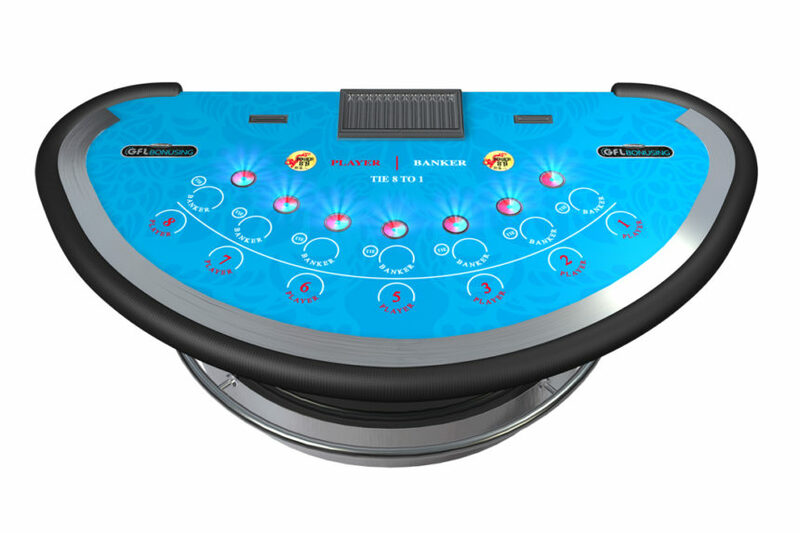 Both options drive increased revenue and attract players with the advanced multicolour side bet technology. 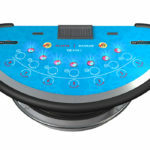 For more information including pay tables please download the Power 8’s How To Play Guide and Customer Information Sheet.